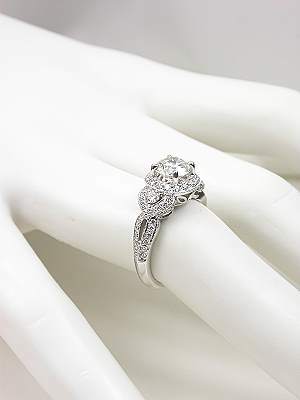 Love knots and hearts lend nonstop romance to this vintage style diamond engagement ring. 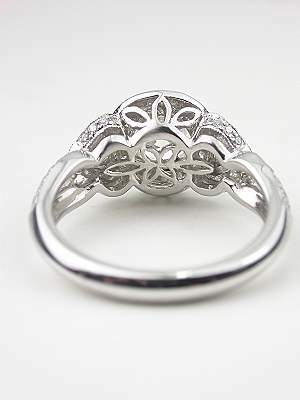 The 18k white gold mounting features a four prong integrated center head which is framed by 16 of the small round brilliant cut diamonds. 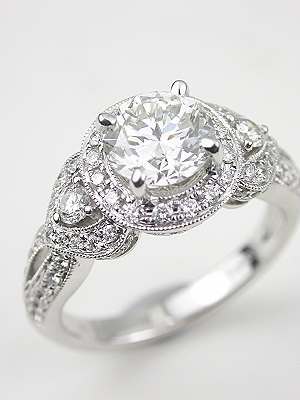 The remaining 60 diamonds are set on the shoulders, sides and down the shank. 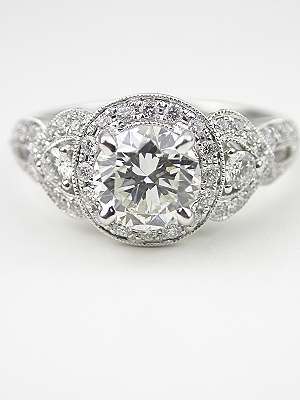 The center stone is a GIA certified 1.24 carat, G color, VS1 clarity diamond. 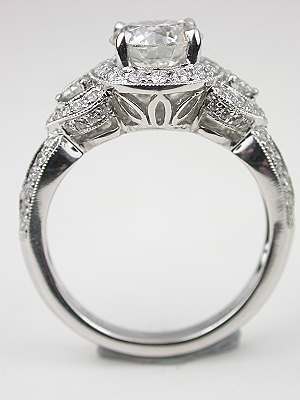 The total number of diamonds equals 77 and the total diamond weight in this engagement ring is 1.74 carats. 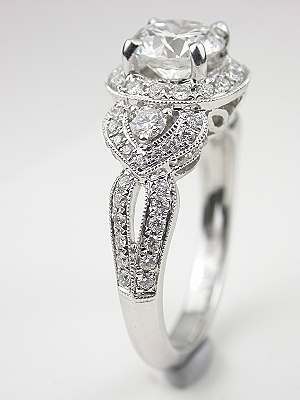 This is a (new) vintage style engagement ring from the Topazery Collection.